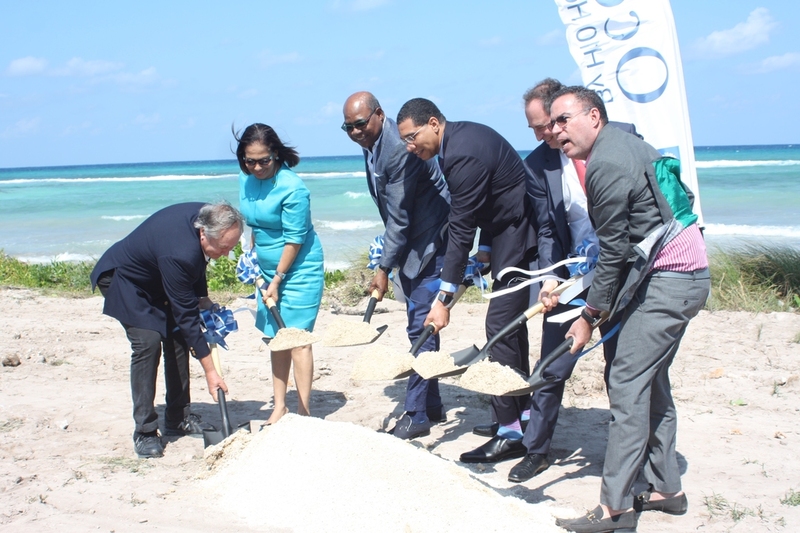 Prime Minister Andrew Holness (3rd right) is flanked by from left: Trelawny custos Paul Muschett, Labour Minister Shahine Robinson, Tourism Minister Edmund Bartlett, Antonio Hernandez, director of H10 Hotel and Daryl Vaz, minister without portfolio in the Ministry of Economic Growth and Job Creation participate in official ground breaking of Ocean Coral Spring Hotel by H10 Hotels on Wednesday. 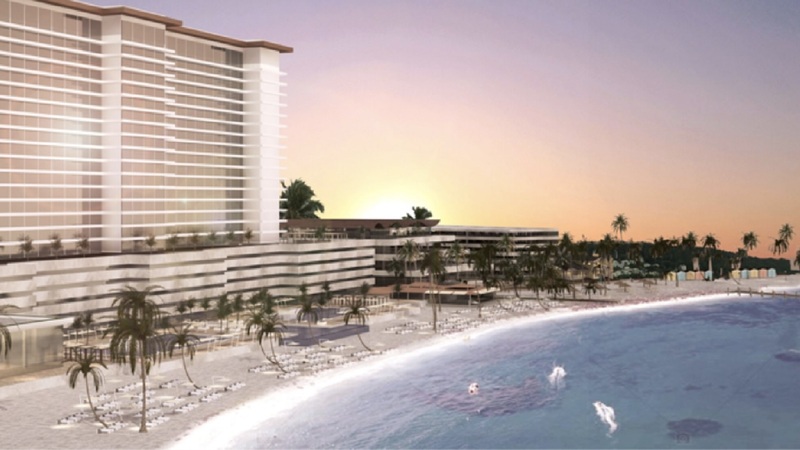 The development of the US$250 million Ocean Coral Spring Hotel by the Spanish H10 Hotel chain to construct 1,000 new rooms will initially provide some 1,500 construction jobs and over 1,200 permanent jobs. 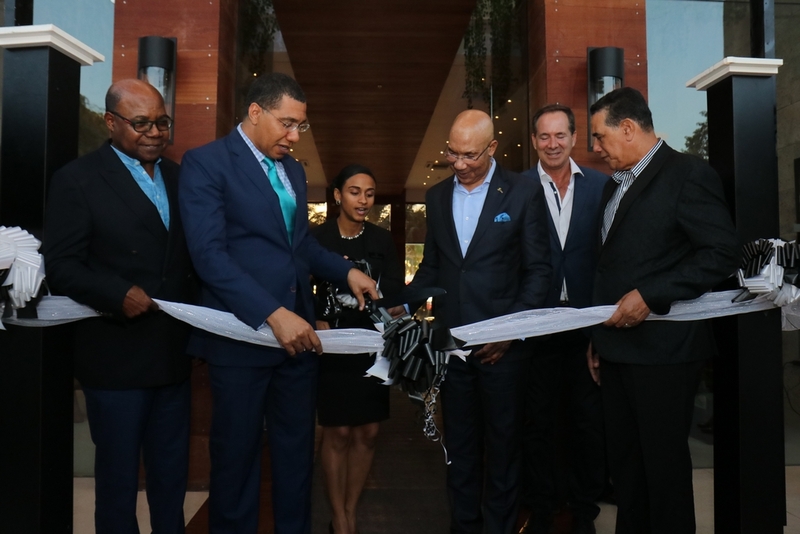 Prime Minister Andrew Holness and Tourism Minister Edmund Bartlett, were among other dignitaries and members of the hotel chain who participated in the official groundbreaking ceremony for the two five star all-inclusive properties on Wednesday. “This beginning of H10 in Jamaica promises to be an exciting and financially enabling relationship because it is going to enable a large number of workers to generate income and this defines what tourism is all about. It is about inclusive growth, by creating jobs, enabling consumption and enabling revenue. Additionally, I am happy that the advent of H10 will bring with it a number of other investment properties over the next few months," Bartlett said. Five hundred rooms, which form the first phase of the project are scheduled for completion by year-end while the second phase will be completed by the end of 2020. Construction of the properties is currently underway. "Both hotels stand out through their elegant architecture and interior design, based on a combination of colonial and contemporary elements," Director of International Division for H10 Hotels, Antonio Hernandez said. Hernandez disclosed that the long search for the perfect property to establish his companies first hotel in Jamaica and the English-speaking Caribbean started way back in 2014, but it was worth the wait. Surrounded by protecting hills and forest and enjoying a large, sandy shore and turquoise waters, this impressive site offers the perfect backdrop for a high-level resort product that will surely delight our guests while contributing to Jamaica's famous tourism product he added. In welcoming the new development, Holness also reiterated that new tourism investments in the country must include Jamaicans to ensure inclusive growth in the sector. “Growth is all about value creation. Yes, we could be receiving new investments and bringing in new capital but we must ensure that the value that is being created in the local economy. This means supplying the sector with local products," the prime minister argued. Minister of Labour and Social Security Shaine Robinson noted that Jamaica’s industrial relations environment is the most peaceful in decades and reiterated the Government’s commitment to the growth and development of workers and the protection of the rights of both employers and employees. Hernandez argued that the construction of Ocean Coral Spring is a “significant opportunity to start a long term success story in this beautiful and exciting country”. 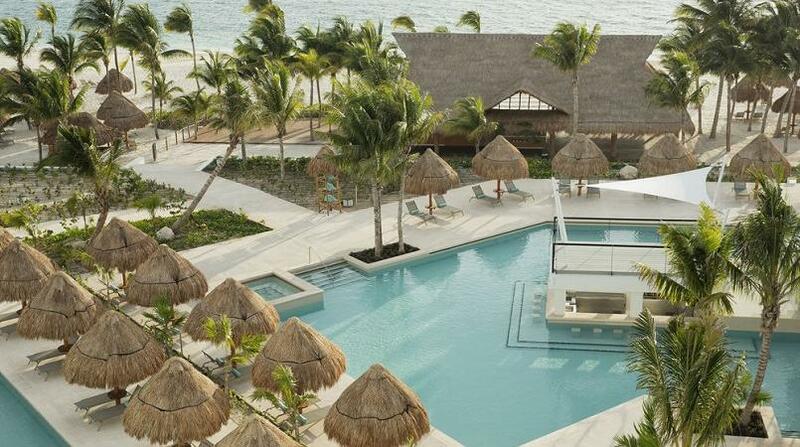 The property will be the only one of its kind in the English speaking Caribbean and forms part of the H10 group that has over 55 hotels in 19 destinations worldwide.